So you’re planning a shop project that you want to be mobile. It’s only going to live in your shop and it won’t move often. You have everything you’ll need in your scrap bin. 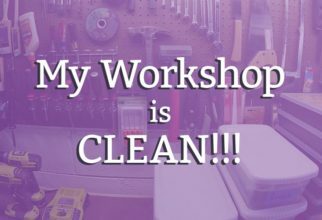 You’re just about to let out a giggle of joy at all the free-ness of your project, when… AHHH!!! You need wheels! It’s the little things that add up. Heading to the hardware store to buy caster wheels is disheartening. The orange and blue big box stores tend not to carry what you want, and what they do have is way overpriced. But the 3-inch swivel caster wheels are so small – how can they cost so much?! 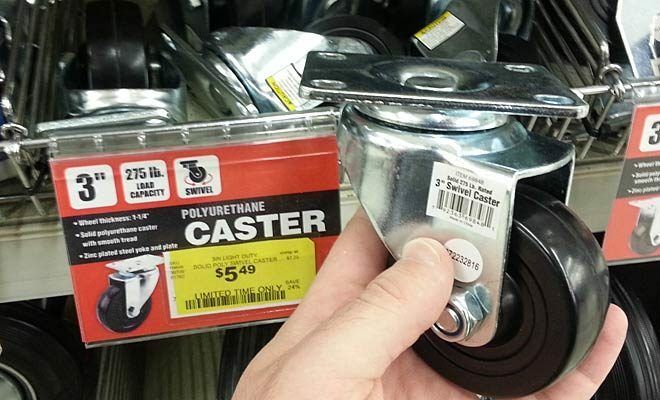 Even these reasonably cheap casters at Harbor Freight are over five dollars on sale! That means our free shop project would cost us at least $20. That’s just not fair. 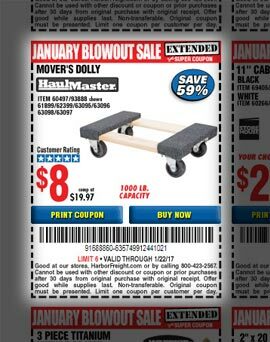 Mover’s dollies are on sale all the time at Harbor Freight. I even paid less than this. Here’s my simple trick. Like most things, a fully assembled carpet dolly costs less than the sum of its parts. So why not buy a dolly and take it apart? For my shop project, the requirements were simple: swivel casters that can hold a combined 500 pounds. I wasn’t worried about smooth operation, size, noise, or anything else. Those are creature comforts that don’t have any business in a garage workshop. 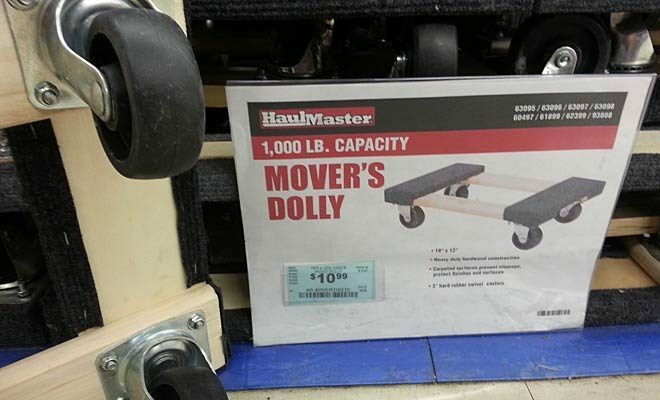 Therefore the mover’s dolly on sale at Harbor Freight was absolutely perfect. Three inch swivel casters that are supposedly able to carry a combined 1000 pounds. All for around $2 a piece! Do they swivel easily under a heavy load? No. Do they work for super cheap? Heck, yes! Even without a coupon, these four casters would cost half as much on a dolly as buying them separately. You can see how this works, right? 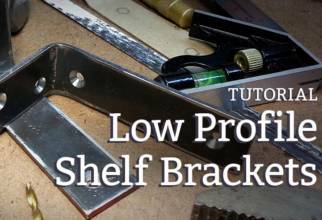 Buy the dolly, unbolt all the caster wheels, attach the casters to your project. Done. …you can find some reasonably cheap swivel casters on Amazon. Here’s some 2″ swivel casters and 3″ swivel casters that are a really good deal if you’re willing to buy a large quantity. 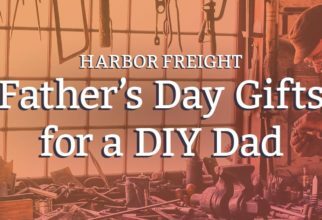 If you have an Ikea hack, a Harbor Freight trick, or another way to save every last penny, let us know in the comments below. Your idea could make it into a future installment of the Cheapskate Corner.